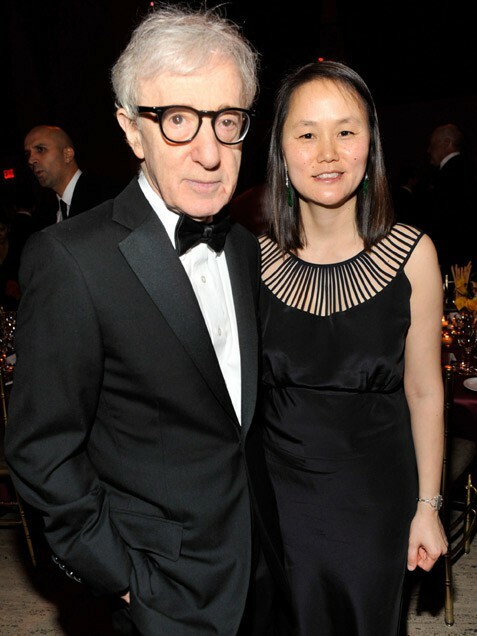 It’s hard to have a more scandalous start to a relationship than Woody Allen, 76, and Soon-Yi Previn, 40 (pictured at the 2011 Amfar Gala in New York on Feb. 9). The tabloid world turned upside-down in 1992 when they discovered the legendary actor/director, long linked to Mia Farrow, was romantically involved with Farrow’s adopted daughter -- 35 years his junior. Yet the unlikely couple tuned out the vociferous critics and quietly wed in Italy in 1997. They remain together today and adopted two children. Despite telling Vanity Fair the relationship has a “more paternal feeling,” Allen calls Previn, "one of the truly lucky things that happened to me in my life."